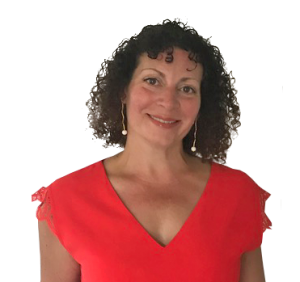 Hi, I’m Helen Hanison and I’m an executive coach. I specialise in helping seasoned professionals who are stuck at a career crossroads make a plan that aligns what they do with who they are – then act on it. You’ll hear more about me shortly. Let’s talk about you first. It may be that you are unhappy with the work you do, or who you it for? Perhaps you have become a parent and your career now feels incompatible? Are you ready to act today to resolve the conflict of those crossroads tomorrow? Is there something stopping you? Are you motivated to take action but feeling blocked without clarity about what the practical next steps are? “We’ve bought you – mind, body and soul”. Hearing that sentence changed my life. It felt like a spotlight came on and time stopped. It also triggered absolute clarity for me about what makes life meaningful– and how different that is to chasing fleeting hits of happiness along a path other people expect or because it used to feel right … even if it makes lots of money. Extracting myself from my senior role in public relations was tough. I felt I was sacrificing mattering for mothering. I felt certain it was important make change happen but didn’t know how – so life became a ripple effect of changes as I struggled to work it out. I still remember my surprised Mr’s face as I bubbled about moving to a barn conversion that needed work (his dream was leaving our carefully restored Edwardian home in London!). After that we moved to the US – with our youngest, a babe-in-arms. It felt like being dropped in a sunny American TV series – with the white picket fences and lots of smiles – but without the script. I grew a network fast. I wrote a book with one friend, helped another with marketing plans and worked with a charity. Nothing felt ‘it’. Years later, I boomeranged back to a London firm. I couldn’t have been more shocked walking onto the floor if I had travelled there in a time machine. My stomach physically lurched as I contorted myself back into those deadline-fuelled ways. It came at a cost. As I stood in front of an x-ray machine having my lungs checked, I promised myself I would shake off ‘career one’ for real. But I felt empty except when busy with the children (who were by now at school all day!). It was dangerously one-dimensional for me and I knew it. Then, sitting at our kitchen island having an ordinary conversation one evening, my husband said something extraordinary – ‘just do something different’. I seized the moment. Within days, I dashed off an application to do a second degree at a nearby university. Easy to apply, shocking to be accepted and hard to do! But I walked around that campus feeling as alive as I did uncomfortable for the first time in years. I love that my commercial edges and marketing savvy go together, and know the integration is a powerful one. I passionately believe we only get to feel as alive and aligned as I do today, if we shape work we love around the life we want to lead. Thank you for your time spent reading this far. I’m guessing you have your own crossroads in sight and I’m glad you found me. I hope we get to talk soon about some of those Things holding you back and make a plan to ACT so what you do strongly aligns to who you are.